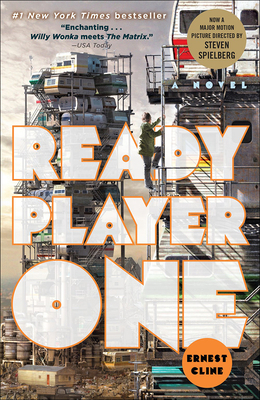 At once wildly original and stuffed with irresistible nostalgia, READY PLAYER ONE is a spectacularly genre-busting, ambitious, and charming debut--part quest novel, part love story, and part virtual space opera set in a universe where spell-slinging mages battle giant Japanese robots, entire planets are inspired by "Blade Runner," and flying DeLoreans achieve light speed. Suddenly the whole world is watching, and thousands of competitors join the hunt--among them certain powerful players who are willing to commit very real murder to beat Wade to this prize. Now the only way for Wade to survive and preserve everything he knows is to" win." But to do so, he may have to leave behind his oh-so-perfect virtual existence and face up to life--and love--in the real world he's always been so desperate to escape. ERNEST CLINE has worked as a short-order cook, fish gutter, plasma donor, elitist video store clerk, and tech support drone. His primary occupation, however, has always been geeking out, and he eventually threw aside those other promising career paths to express his love of pop culture fulltime as a spoken word artist and screenwriter. His 2009 film" Fanboys," much to his surprise, became a cult phenomenon. These days Ernie lives in Austin, Texas with his wife, their daughter, and a large collection of classic video games. READY PLAYER ONE is his first novel.